How do Protective Property Trust Wills work ? So, if one of you dies and the survivor inherits the property, then not only are both of the above are going to be true but the survivor owns 100% of the home. If the survivor then goes into Long Term Care, up to 100% of the home can and will have a charge placed on it by the Local Authority. So how do Protective Property Trust Wills prevent this from happening? Well, they do so by ensuring that the neither of you ever owns 100% of the property. This simple arrangement means that the maximum charge that a Local Authority can place on the home is 50% and not 100%. Admittedly the entire home is still not protected, but protecting half of it is better than not protecting it at all. If we have Property Protection Trust Wills do we also need Normal Wills? No. 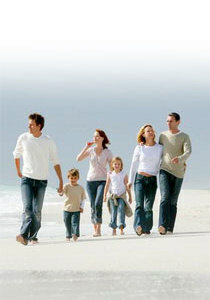 Your Property Protection Trust Wills are all you need. In them, you can specify everything that you can specify in Normal Wills: gifts, legacies, bequests, Guardians, Funeral Wishes, and who is to get your Residuary Estate. Is a Life Interest in a property the same as a Property Protection Trust? If the survivor only owns 50% after first death, who owns the other 50%? It remains in the Estate of the first to die, and is held in Trust by the Trustees of the Will. When the survivor also dies, the Trustees then pass it on to the beneficiaries of the Residuary Estate (or some other person or persons if that is what you say you want). What happens if the survivor wants to move to another property? The protection arrangement is not affected:- The original property is sold and the proceeds are used to buy the new property, which remains 50% owned by the survivor and 50% owned by the estate of the first to die – i.e. the Protective Property Trust is transferred to the new property. If there is any money left over then 50% of it goes to the survivor and the other 50% is invested by the Trustees of the Will – with the survivor being paid the interest on the investment and, on the death of the survivor, the capital going to whoever then inherits the property. Do we have to specify the Protective Property Trust in the Will? No - all you have to do is click Start Here at the top right of this page and our online software will automatically do it for you. What does Tenants in Common mean? It means that you each own your own share (normally 50%) of the property and you can each leave your share in your Will. With the other form of joint ownership - Joint Tenants - the instant one of you dies then their share automatically passes to the survivor (who then owns 100%). If we are Joint Tenants will our Protective Property Trust Wills still work? No - because on first death the survivor automatically owns 100% of the property. This is why our service includes checking that you are Tenants in Common and changing from Joint Tenants to Tenants in Common if needs be. Is the Tenants in Common included in the Wills? No - it's completely separate. Once you've completed the Protective Property Trust Wills, we take you through the Tenants in Common process. It is very straightforward and only takes a few minutes. Do we have to do the Tenants in Common before we do the Wills or after? It doesn't matter whether you do the Wills before or after doing the Tenants in Common. All that matters is that both are done before first death. Are there any circumstances in which Property Protection Trust Wills will not work? If you both go into Long Term Care before you die then obviously the Wills never come into effect - a Will only comes into effect on death. You may want to consider how you cover yourselves in this eventuality. The questionnaire assumes that we want to leave our estate (excluding the home, of course) to each other. What if this is not the case? Click Start Here again and on the first page instead of filling in your details click the BACK button. Then select the 3rd option instead of the currently selected 2nd option. Then click NEXT and carry on through the questionnaire. If you have any questions that are not answered above then please use the Contact/Talk to us link on the left hand side of this page.